Rosalie Joan Roy, age 88, passed away on April 20, 2018. Preceded in death by husband Charles, parents Edward and Anna Forst, daughter Julie Cadovich, sons Mark and Steven and siblings Edward Forst, Marion O’Reilly and Leon Forst. 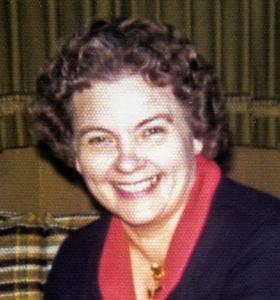 Cherished mother of Paul (Judy) Roy, Victoria (Nick) Chehade, John (Lynette) Roy, Michael (Laurie) Roy, Charles (Diana) Roy and Ann Roy. Dear mother-in-law of Terry Cadovich. Grandmother of 23 grandchildren and Great Grandmother of 17 great grandchildren. Family will receive friends Tuesday 11am until the time of funeral service 1pm at Neely-Turowski Funeral Home, 30200 Five Mile Rd, Livonia (between Middlebelt & Merriman Rd). In lieu of flowers the family requests that donations be made to Angela Hospice in honor of Rosalie. You may upload a photo, share a memory and sign the guestbook by clicking the tabs above.